How would you like to win a Krosno Plain Ships Wine Decanter? Perfect in time for a pre-Christmas present! This elegant and beautiful wine decanter can hold a standard bottle of wine (750ml) making it perfect for entertaining. It’s also suitable for a variety of events, whether its dressing a table over the festive period or simply enjoying a bottle of red in front of the fireplace. If you would like to be in with the chance of winning such a splendid wine decanter, then enter our competition below. Simply like us on Facebook, follow us on Twitter, Tweet us, add Wineware to your Google circle or leave a comment on the blog! This Wineware competition ends 07/11/2013 so get your entry in now! I’d like to win this Krosno Plain Ships Wine decanter because we’ve been looking for one of good quality for ages, and this fits the bill! Our current decanter is getting a bit tired so a stylish new Krosno Plan Ships Wine Decanter would be just the job! This would make my dinner table look much more sophisticated and stylish. Love the shape of this decanter and it would look perfect on my sideboard. I’d love to win this for my dad, who is a fisherman and loves anything to do with boat, ships and wine! Be a great addition to my kitchen! My aunt is a big wine fan, this would make the perfect Christmas present for her. This is a beautiful decanter and it would be excellent for home-made wines that always improve when decanted. I’d love to have a nice receptacle for my wine! I’d love to win this decanter as it would go with my nautical themed dining room. I would love to win this to give as a special present for my daughter in law who has been looking for a plain but elegant decanter. This is absolutely perfect. Because it’s stylish and would be a great starting point for me when I’m deciding how to decorate/furnish my new dining room! I really need a decanter! Our lovely little kitten broke our last one whilst being a bit too playful, and this one is lovely! We don’t have a proper decanter (gasp!) and this would be such a great piece to bring out especially when we have friends over! I would love to win this as it has a timeless elegance to it and I believe that I share those exact qualities. An elegant wine decanter for an elegant lady! Quite simply I don’t have a Krosno Plain Ships Wine Decanter, and it would look so grand on top of my drinks cabinet. I’ve had the pleasure of being served wine in a decanter at a friends house and have been wanting one ever since!! This is so elegant, i would love to win this! i would love to give this to my mum as a gift, i just know she would love it!!! 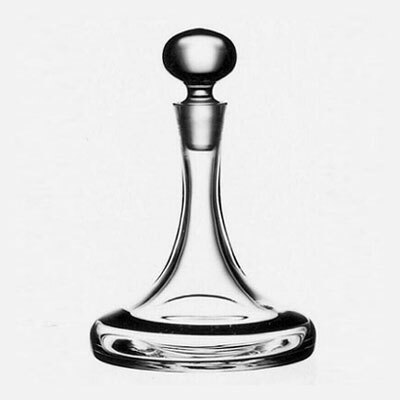 I want to win the decanter for one simple reason – it looks gorgeous! My hubby collects decanters, so this would be the ideal Xmas present for him. I’d love to win , it would make a beautiful feature on our Christmas table. My husband and has always wanted a decanter for his red wine 🙂 Would look lovely on the dinner table ! My husband has always longed to own a ship’s decanter, even though he never goes to sea. It would be lovely to be able to treat him to this. I love the shape. This would look lovely on my dining table. It’s beauty would grace any table, especially mine! it would be really nice to use this around christmas time. It looks so lovely and would be delightful on my Christmas table. Would make the perfect wedding present for a great friend of mine that’s getting married soon! Its beautiful and am in need of one! I love the design, its really elegant! This would look lovely filled with a nice Burgandy. Looks simply gorgeous and stylish and I need an injection of loveliness in my life and flat! This would look lovely filled with a nice Chianti. Lovely decanter. Makes enjoying wine even better. I’d like to win as it would be the perfect Christmas gift for my mum. that is just beautifull piece of glass, put wine in it and WOW! It will make a nice replacement for the one I broke! Perfect for the Christmas Port. Because this would look fantastic on my dining table with the outlaws looking on jealously! I don’t have a decanter and this would be great to use at Christmas. I would actually love to win this for my Sister in law and her husband as they are big wine drinkers and would love this! It would look beautiful on our dining table. It’s a beautiful decanter and would love to show it off when we have guests at Christmas! this would look stunning on our table every day! Want to buy a lovely bottle of red wine so this would be perfect to display it and help it to breath. Love the shape perfect for my christmas table. I always wanted one, but never had. It is so elegant that it would add class to any meal. This would have pride of place on my christmas dinner table.